Other: First book in the Kane Chronicles. There will be three books in total. The second book, The Throne of Fire, was published on May 3rd, 2011. After finishing the Percy Jackson and the Olympians series, I was dying to read more Rick Riordan books. 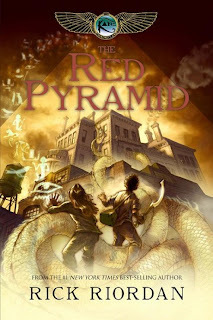 I picked up The Red Pyramid, which is based on Egyptian mythology. 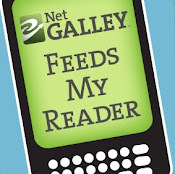 I really liked the book, but I wasn't as hooked as I was with the Percy books. This book follows Carter and Sadie, who are brother and sister and find themselfs amidst Egyptian gods. They never thought the gods would be alive, let alone meet them. But when their father summons a god, he lets more loose than he intended, and Carter and Sadie need to work together to make sure the world won't be destroyed in the process of saving their father. The setup in this book is great. Rick Riordan made it seem like he was simply typing out what the main characters were saying on a tape recording. His humor is great and I loved the writing in this book. I'm more of a fan of Carter's than I am of Sadie, but both are great characters. If you love Rick Riordan as much as I do, this is a must to pick up. Egyptian mythology isn't something I've read a lot about (this is my first book..) but I really liked it and I think this can be a great setup for the rest of the trilogy. Simply because I love Rick Riordan's writing and I can't wait to read more about Carter and Sadie (now if my preorder will hurry up and arrive already..)!